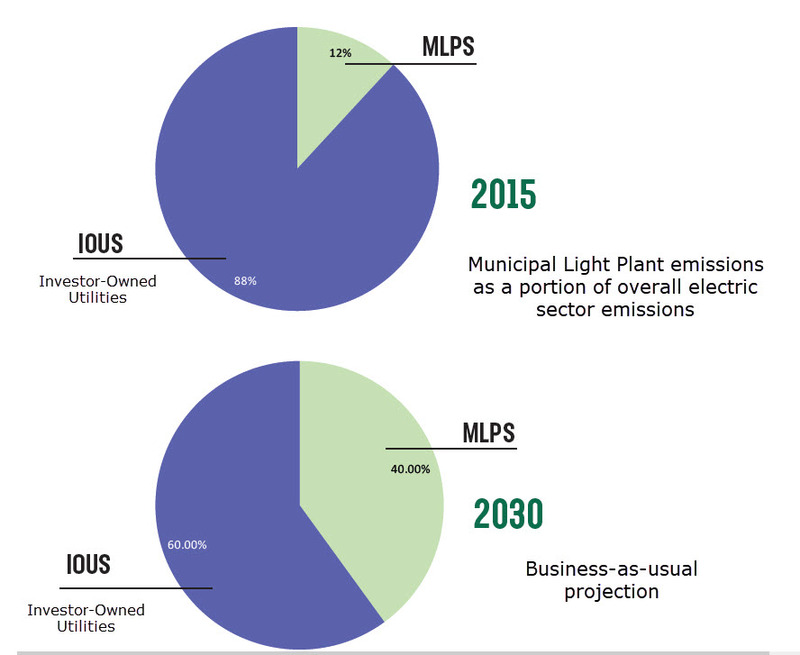 January, 2019 — E4TheFuture provided support for the first-ever “report card” of Municipal Light Plant (MLP) performance. In Massachusetts, 41 municipal electric utilities supply 14 percent of all electricity used. The Massachusetts Climate Action Network thoroughly examined key aspects of these MLPs through the lens of clean energy and climate. Areas covered include energy efficiency programs, power procurement, transparency, and plans to reduce emissions. The top five: Belmont, Concord, Braintree, Holyoke, and West Boylston. What’s the Score* finds that MLPs need improvement for the Commonwealth to keep pace with its clean energy policies and goals. For example, the 2017 portfolios of all MLPs include less renewable energy content than the Massachusetts Investor Owned Utilities (IOUs). No MLP met the Renewable Portfolio Standard. The highest-scoring MLPs still performed well below the IOUs in terms of renewable energy in their portfolios. “MCAN is ready and willing to assist Municipal Light Plants with improving their score and their climate and clean energy policies,” said MCAN Executive Director Carol Oldham.